Your garage door tracks play a very important role in making sure that your garage door opens and closes properly. If your garage door has bent tracks your going to need it repaired as soon as possible. Your tracks allow the garage door to open and close smoothly with the rollers attached to it. The bent tracks that get damaged most of the time are the ones that are vertical that go against the side of the wall of your garage door. Often times home owners might hit the track with tools or even the vehicle as it pulls into the garage. Once the track is bent, it’s almost impossible for the garage door to function properly as the rollers won’t be able to move freely. In some cases, the tracks are attached to parts that sustain the force of springs so make sure not to tinker or move any parts unless you are trained as it may cause more damage. Our service professionals are highly trained in dealing with bent tracks and have all the tools and materials necessary to fix your garage door. 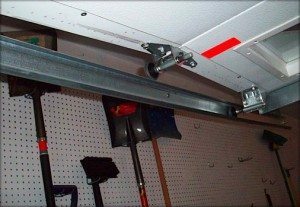 Garage door bent tracks are a common issue among home owners as they often get damaged accidentally and even by children. 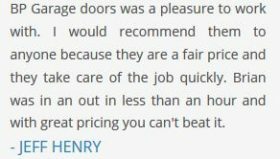 BP Garage doors provides a $35 service call to check out your garage door repair needs and we carry lifetime limited warranties on the parts we carry. Besides just fixing bent tracks we also repair broken rollers and springs, cables, panels, hurricane reinforcements, keyless entry, new motors and garage door openers. We service Tampa, Clearwater, St. Petersburg, Dunedin, New Port Richey, Tarpon, all of the Tampa Bay area and the surrounding counties. Your garage door not only protects your assets, but it provides safety to your family and to your home. A bent track is a common issue that we deal with on a daily basis so trust BP Garage Doors to have you fixed and taken care of sooner than later. 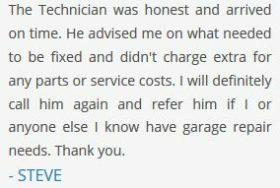 We provide a discount to our first time clients with 10% off to earn your business and trust as your go to garage door repair experts.